The fifteenth century marked a dramatic period of change in world history. The expansion of the Ottoman Empire into Europe posed a grave threat to Christianity, drawing the attention of all the states of Christian Europe. In the mid-fifteenth century, a Romanian nobleman named John Hunyadi, Iancu de Hunedoara in Romanian, arose to lead the struggle against the Islamic invaders. As voievod of Transylvania and later royal governor and captain-general of Hungary he would be the principal defender of Christian Europe from 1441 to 1456. He led several crusading efforts to halt the Turkish advance into Europe, including a remarkable victory over the Turks at the battle of Nis in 1443. 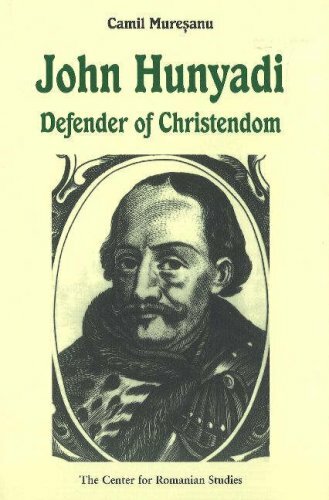 This biography explores the life and times of John Hunyadi, tracing the history of the Ottoman Turks up to the fifteenth century and making critical use of primary sources from the time to tell the story of the man who led the effort to defend Christian Europe from the Turkish onslaught. As leader of this struggle, John Hunyadi became a hero not only to the Romanians and Hungarians, but to all the peoples of the Balkans as well. His last great victory occurred when he led the successful defense of Belgrade against the Turks in 1456 for which the Pope Calixtus III declared him an 'Athlete of Christ'.